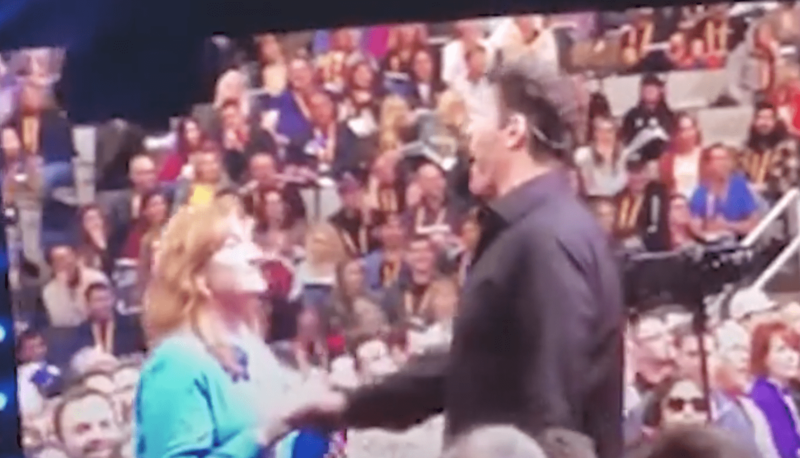 This whole Tony Robbins thing hit my #MeToo nerve. The courage that Nanine McCool showed by challenging such an influential, big, powerful man moved me. Now I am a huge Tony Robbins fan – honestly, I have learned a lot from him. He has dedicated his life to the empowerment of others. But this incident was a colossal misstep, and despite the fact that he didn’t apologize to Nanine for his bullying tactics and mission to conquer that room in San Jose, she stood her ground. Yay Nanine! If I were Tony, I’d apologize for not hearing Nanine out fully and completely. If he had done that, a lot of misunderstanding could have been avoided, but he was too busy trying to be “significant” instead of hearing what she was trying to say. When Tony finally said his apology, that he needs to remember to be the student too, I couldn’t agree more with his statement. Personally, I decided that I wanted to have a conversation with my good friend Lisa Steadman about this situation over coffee. Watch the video below and don’t hesitate to ask us questions. Lisa Steadman is a best selling author, internationally acclaimed speaker, relationship expert, serial entrepreneur.